Halloween is so close, less than a week away– do you have your costume put together yet? Okay, but is it just me or is it sort of required to have multiple costume ideas ready because of all the different Halloween events that happen? I know that I never wore the same look to work and school that I did at the Halloween parties on the weekend. So if you’re freaking out because you need something quick, easy and simple for a last minute Halloween costume idea, I got you! 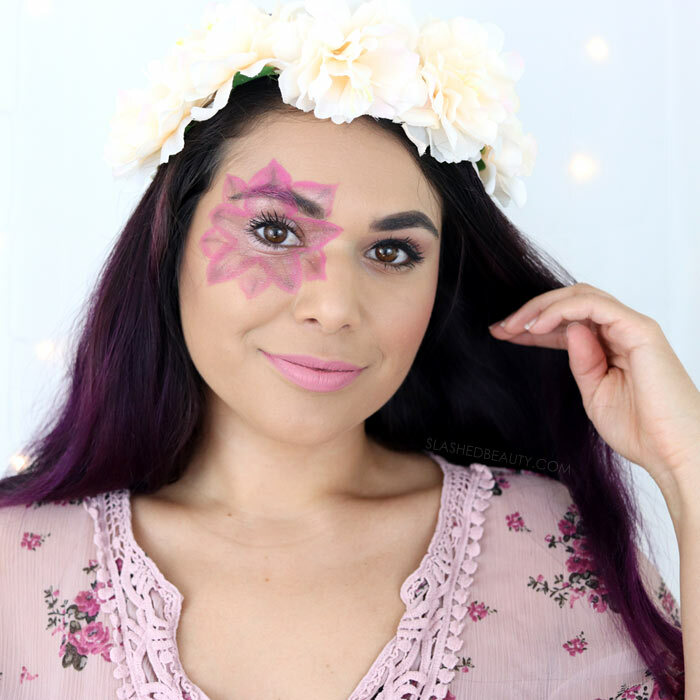 This flower child Halloween costume is the easiest DIY ever. As always, makeup is the statement and you can use clothes you already own. Just throw on literally anything and everything floral in your closet. Find or make a flower crown for the perfect finishing touch. 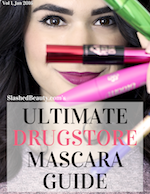 All the products I used are drugstore brands, and I picked them up on my last grocery run at my local Smith’s, which is part of the Kroger Family of Stores. 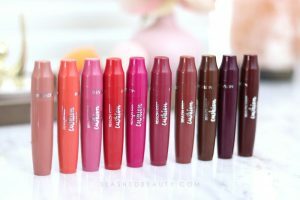 Once again, I’m partnering with them to share the beauty promotion they’re running just in time for Halloween: from October 17 through 31st, Buy 2 Get 1 Free on cosmetics, nail care and accessories, and you can mix & match brands! That means you’ll be able to pick up all the makeup products needed for this look at a fraction of the cost! 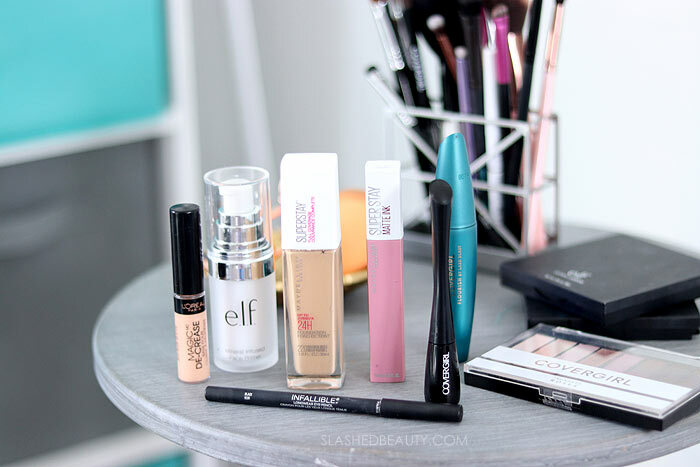 Plus, this is all normal makeup that you can work into your makeup routine past the holiday. 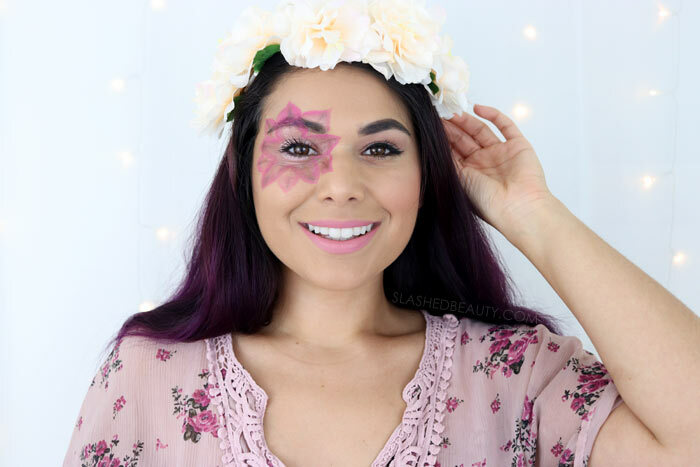 Watch the video at the top of the page to see the step-by-step flower child halloween makeup tutorial. 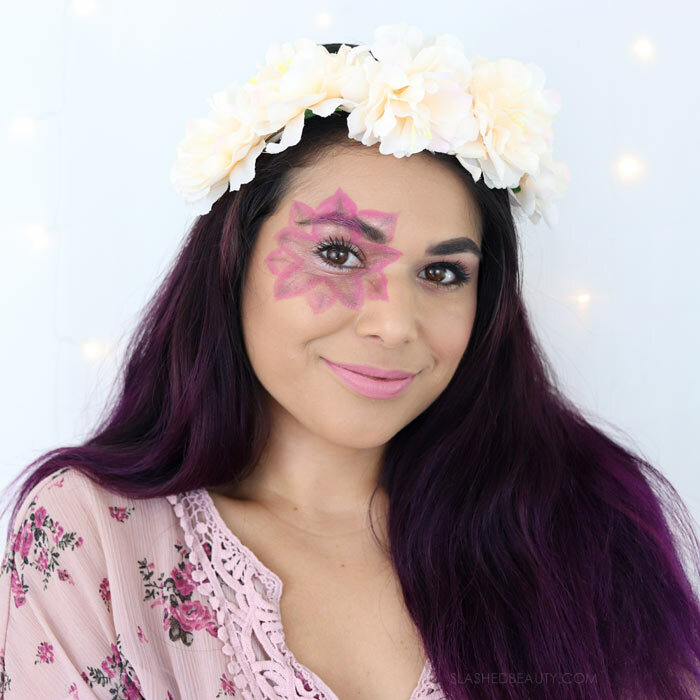 This is such a simple Halloween makeup look but will get you out of a jam when you need to show some holiday spirit on a budget or time crunch. It may not win you any awards, but it’s perfect for something quick and cute. 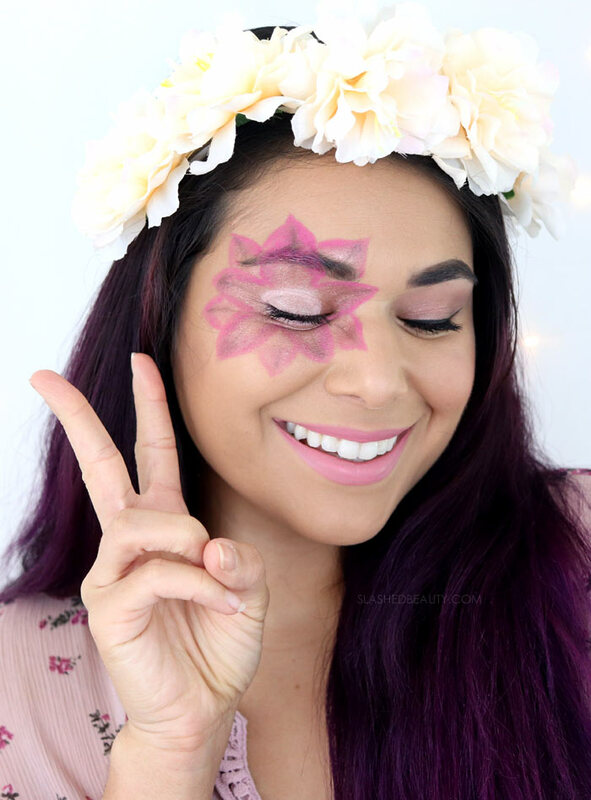 You can make it more intricate or simple depending on your preferences– cut down the amount of petals for an even faster look, or add more flowers along your cheeks or the other eye for a bigger statement. I love DIY Halloween costumes that rely mostly on makeup to really pull the look together, because it means you don’t need to spend a ton of money on a get-up that you’ll only wear once. Plus, you’ll probably recognize a lot of these products as repeats from my Fantasy Owl makeup tutorial— they’re versatile enough to serve up two Halloween makeup looks! Be sure to shop the Kroger beauty promotion just in time for Halloween (or just stock up on your fall must-haves). Check out the Kroger site for more tutorials, inspiration, and exclusive coupons and offers. Are you trying out any last minute DIY Halloween costumes? What a cute look and easy Halloween costume. In our house if you aren’t a princess or a superhero you don’t know the spirit of Halloween. That is so cute! Great colors and a nice ‘pretty’ Halloween look!